•	Ideal for Salt - Grain - Minerals - Dry feed. 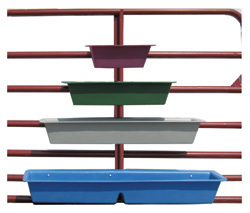 •	Feeders easily stack together for easy hauling and storage! •	Multiple colors to choose from. 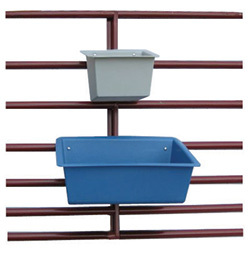 •	An extra-large feeder that offers easy access to animals with its tapered front edge. •	Almond or Blue color. 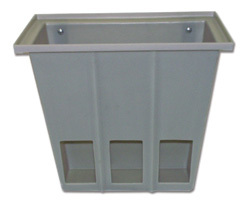 •	Single flake, tapered design, allows for easy hay filling from the top. •	Animal can easily pull hay through three front openings.